I wanted a few interesting take aways for my guests to thank them for spending the holiday with us. 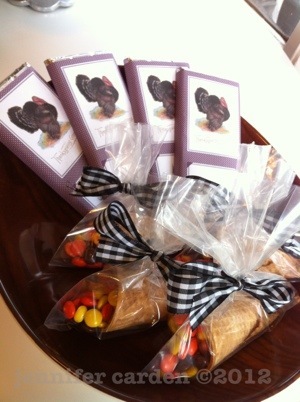 I found these cute candy bar wrappers on Martha Stewart but it is darn hard to find foil wrapped candy bars these days. Most companies did away with the foil and these only work with foil wrapped bars. I found some Cadbury from England but I didn’t think the kids would appreciate dark chocolate so these are for the grown ups only. 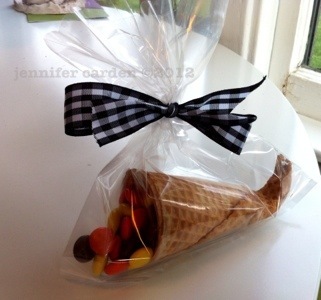 For the kids we made cute mini cornucopias from sugar cones, seen here. 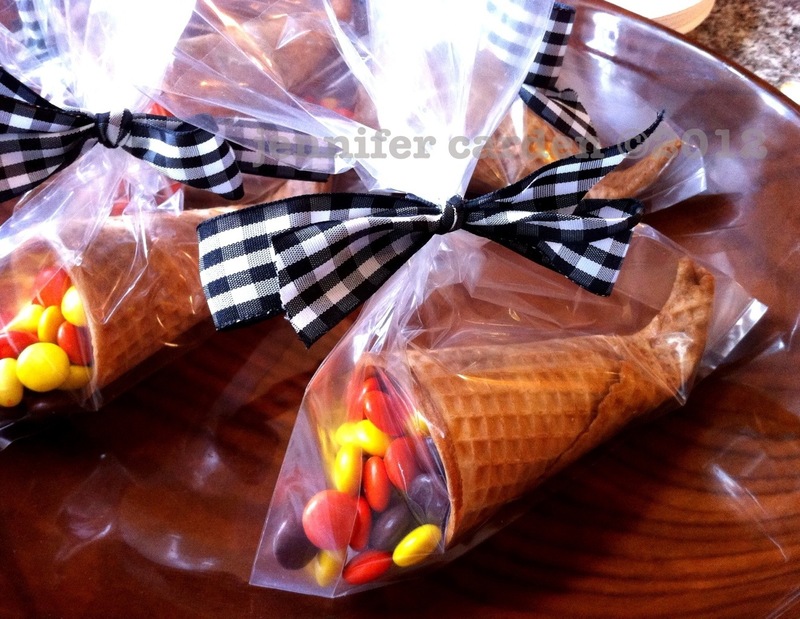 We didn’t get too fussy, we just added some Reeses Pieces and candy corn and bagged them up. We will use up cranberries by placing them in jars with some rosemary and a candle as seen here. As for place cards we really loved the large turkey drumstick, I think it is supposed to hold a large popcorn ball but we already have enough sweets! We stuffed them with paper towels, we can use for clean up after dinner. 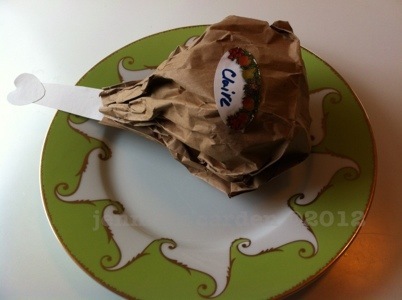 I hot glued the “bone” in to the paper bag and Claire labeled them, one for each kid. 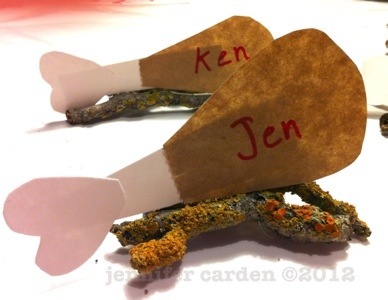 We found lots of fun ideas for the grown up place cards, one we saw just used sticks and a sprig of evergreen. I had the idea to make mini drumsticks to match the kid table! We collected sticks from the yard and hot glued them together. We added the mini drumsticks and were pretty happy with how they turned out. 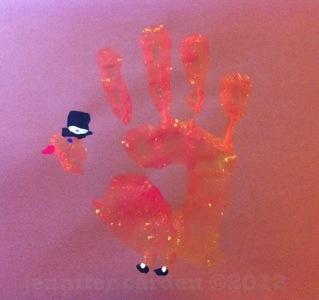 They standard turkey hand print is a place mat for the kids table, made by Claire. Thanks Pinterest!